Brrrr! 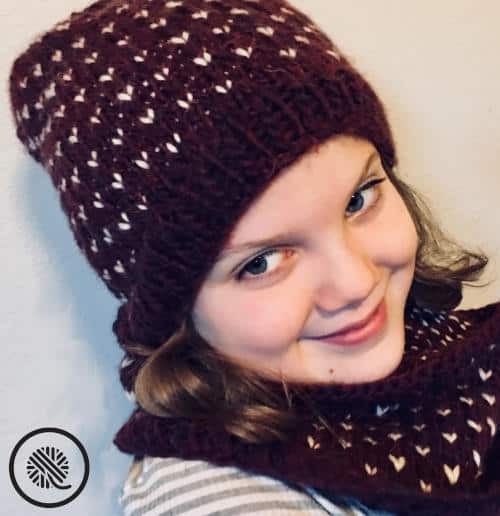 Temps are dropping and now is the perfect time to cuddle up with a new project. 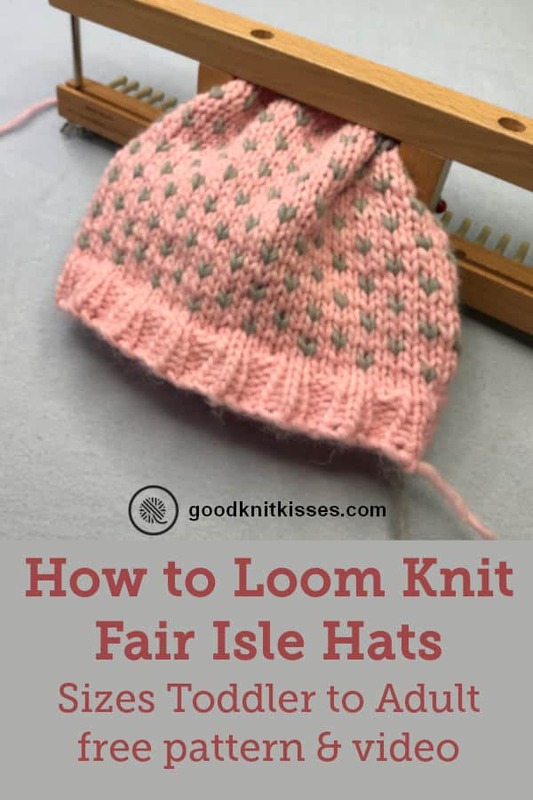 My Family Fair Isle Hats pattern is a great way to break into the wonderful world of Fair Isle knitting on your loom. Fair Isle knitting is a technique that brings patterns of color together in one smooth fabric. 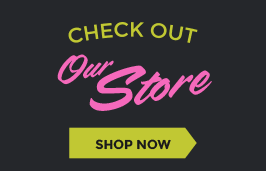 You know those amazing Nordic sweaters we all love? That’s the same technique I’m teaching. 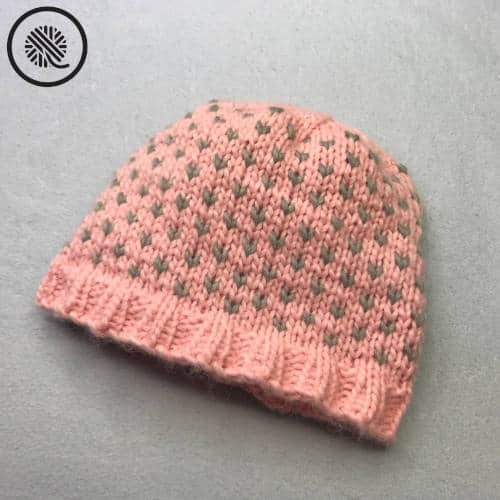 The body of the hat features a simple two-color stitch pattern that even a beginner loom knitter can master. Fair Isle knitting uses two or more colors of yarn in the project by knitting one color per stitch and carry the unused color along the back. The extra strands of yarn on the inside of the project are called floats. In the video I show you how to make the floats shorter for a cleaner look, reducing the possibility of snagging floats when wearing the hat. 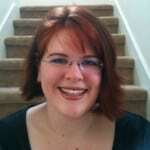 Purchase a downloadable PDF directly from Ravelry. Contrast A Patons® Alpaca BlendTM (3.5 oz/100 g; 155 yds/142 m) Peony. 1 ball. Contrast B Patons® Alpaca BlendTM (3.5 oz/100 g; 155 yds/142 m) Smoke. 1 ball. Knitting Board All In One loom used in smallest sample. 16.5 sts x 25 rows in 4” (10 cm) in stockinette. CHECK YOUR GAUGE. 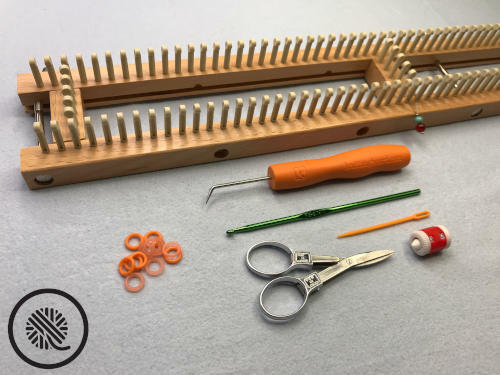 Change loom peg count to obtain correct size. Chain cast on is listed in pattern instructions, but you may also use the double ewrap or longtail cast on if you prefer. 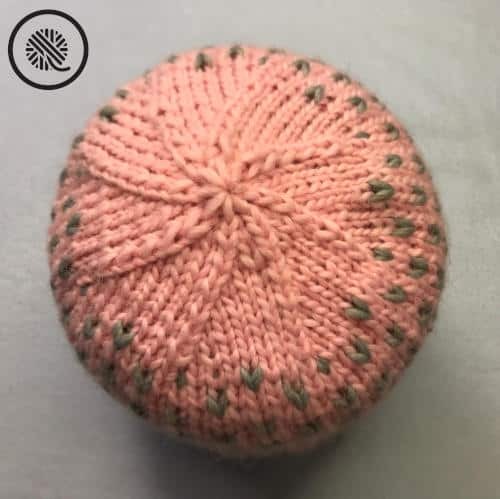 Item will be worked in the round. For right handed knitters work from right to left (clockwise); work in the opposite direction for left handed knitters (counter clockwise). All knit stitches are Uwrap knit. Be sure to work loosely to achieve correct gauge. 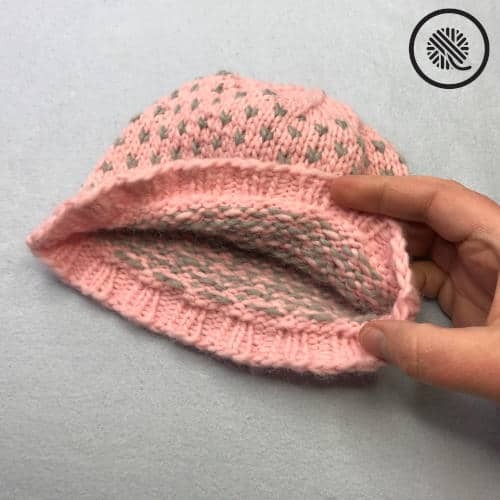 Tight knitters may be able to use the true knit stitch. Ewrap is not recommended for this project. 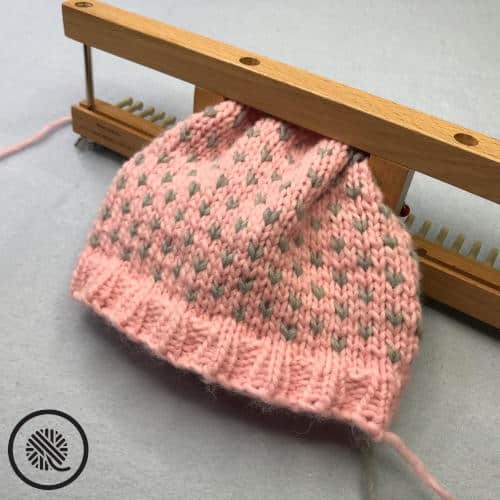 This pattern can be worked on either a fixed peg loom or an adjustable loom with a slider to decrease the number of pegs in use. Please note the special instructions for non-adjustable (fixed peg) looms after Round 7. When knitting fair isle the accent yarn (B) is carried on the back side of your work. It will create a long strand called a float. Long floats (more than 2 stitches wide) can be loose and snag when worn. To prevent this problem use the following technique to trap the float behind the main color. After working B, knit the next peg with A as usual. Then move the working yarn for color B to the front of your loom between the last peg worked and the next peg. Uwrap the next peg with A and move color B back between the same pegs so it is behind your work again. Knit over peg wrapped with A. The float for color B is now wrapped around the working yarn for color A between the stitches. Knit the next stitch A as written. The next stitch worked is B, work as above throughout the round. With A cast on 64 (72, 80, 88, 96) sts and join in the round. Place marker on Peg 1 to mark beginning of round. Rnd 1: *K2. P2. Rep from * to end of rnd. Rep Rnd 1 for 1 (1, 1.25, 1.5, 1.5) inches [2.5 (2.5, 3, 4, 4) cm]. Rnd 3: Knit. Do not break yarn. Rnd 4: *With B K1. With A K3. Rep from * to end of rnd. Drop B, do not break. Rnd 5: With A Knit. Rnd 6: With A K2. *With B K1. With A K3. Rep from * to end of row. Rnd 7: With A Knit. Rnds 4-7 form Fair Isle Pat. Cont in pat until work from beg measures approx 5.5 (6, 6.5, 7, 7.5) inches [14 (15, 16.5, 18, 19) cm]. Break B.
Rnd 8: With A Knit. Work Rnd 8 rnd for 1” and continue to SHAPE TOP working rnds 1-7 only. Rnd 1: With A *K6. K2tog. Rep from * around. 56 (65, 72, 77, 84) sts. Rnd 2 and alt rnds: Knit. Rnd 3: *K5. K2tog. Rep from * around. 48 (56, 62, 66, 72) sts. Rnd 5: *K4. K2tog. Rep from * around. 40 (47, 52, 55, 60) sts. Rnd 7: *K3. K2tog. Rep from * around. 32 (38, 42, 44, 48) sts. If working on an adjustable loom cont in pat as written. If your loom is NOT adjustable knit one more round and continue to ** below. Rnd 9: *K2. K2tog. Rep from * around. 24 (29, 32, 33, 36) sts. Rnd 11: *K1. K2tog. Rep from * around. 16 (20, 22, 22, 24) sts. Rnd 13: *K2tog. Rep from * around. 8 (11, 12, 11, 12) sts. Break yarn, leaving a long end. Thread end through rem sts and draw up tightly. Fasten securely. Weave in tails. 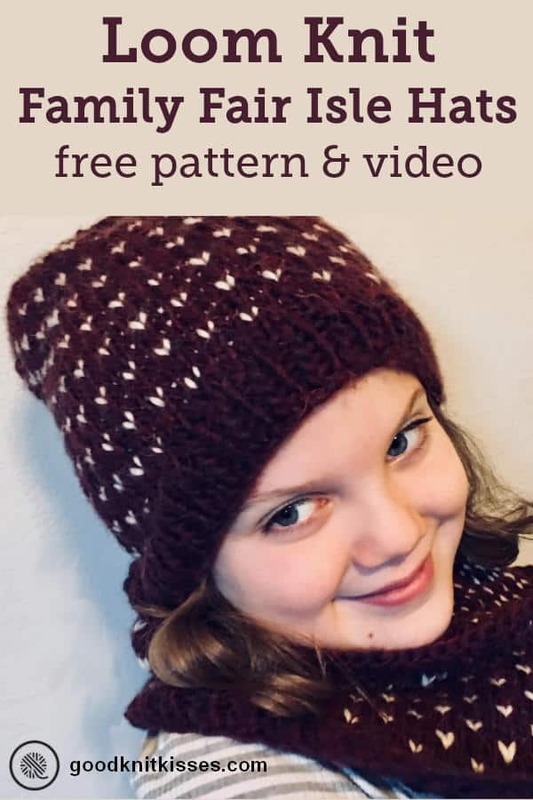 Watch the full tutorial for the Family Fair Isle Hats! Sorry, this is not an easy pattern, but your instructions are excellent as usual. I will try this and hope for the best.